The challenges cited above are some of the most common experienced by Chief Executives. Since 2007, The HR Landscape has supported many organisations through change and capability building programmes. With demand growing for such services we have designed a programme called ‘One Team’ to assist Executives and teams explore opportunities for change in culture and behaviours and to build sustainable strategies for improving individual, team and organisational performance. 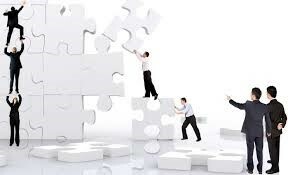 One Team is about breaking down silos and building the ‘collective’; resulting in heightened organisational performance. Bringing teams together at strategic junctions throughout the year, we explore your specific business challenges and objectives and work with you on leadership behaviours and people and culture strategies necessary for successful attainment of these objectives. ‘One Team’ is a continuous improvement opportunity relating strategy and operations to the leadership behaviours necessary for bringing it all together and making things happen through people. We introduce you to team building and development initiatives that instil a united purpose and increase energy and engagement within and across teams. Team commitments are made and outcomes specific to your organisational objectives are taken back into the workplace for implementation. Sustainable success is all about follow through on commitments and agreed outcomes. The programme offers check points at 3, 6 and 12 month intervals to ensure that the team is on track, with coaching support along the way. When is the best time to introduce ‘One Team’? For a free initial consultation and/or to learn more about our services, please fill in the form below and one of our Principal Consultants will contact you soon.